I don’t know what it is, but this is the second word game I’ve played in these past couple weeks. I usually don’t like playing word games much because I’m just not very good at them, but lately I’ve found a couple that aren’t that bad at all. 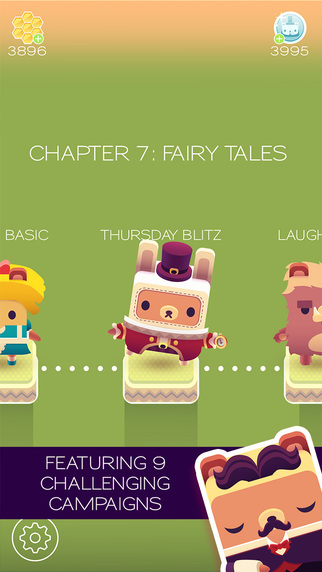 This new one I’m trying is out called Alphabear: Word Puzzle Game and it’s by Spry Fox. 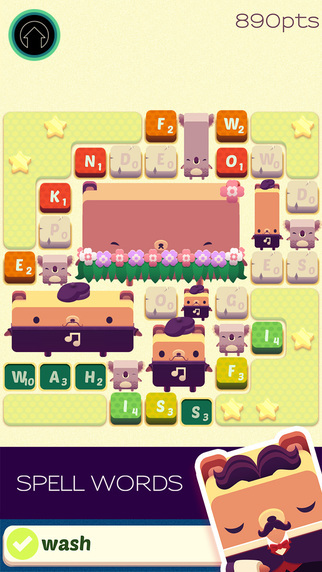 Alphabear is a delightful word puzzle game that is very much like Scrabble, but with cute bears you can collect that act as powerups. 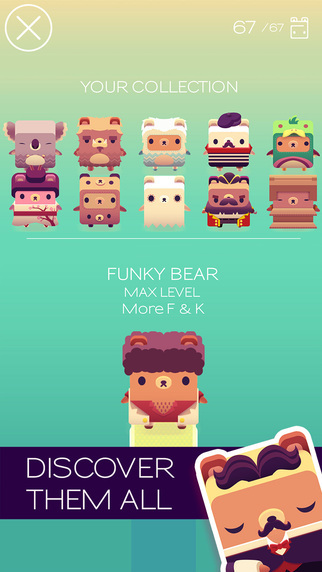 Alphabear is quite an interesting word puzzle game. Each level starts out with just a handful of letters in which you must create words from. Each letter has a little countdown timer on it that lets you know how much longer that letter can stay on the board before it turns into an unusable stone block. 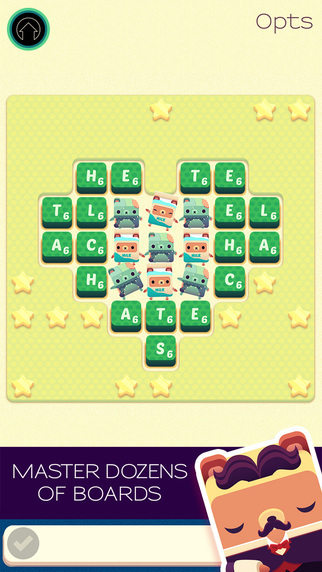 Use the letter before it reaches zero and that block will be removed from the board allows your cute little bears to grow and/or multiply. Each letter removed also activates the adjacent blocks next to it with more letters you can use. The end goal being to clear the board of letters and creating the largest bears you can with the highest score you can. At the end of each round, your score is tallied up and if its high enough, you’ll unlock new bears, each with their own powerup properties. Use them in rounds to increase your scores. As you play, you’ll also unlock new levels to play on with new types of game modes to challenge your word making skills. 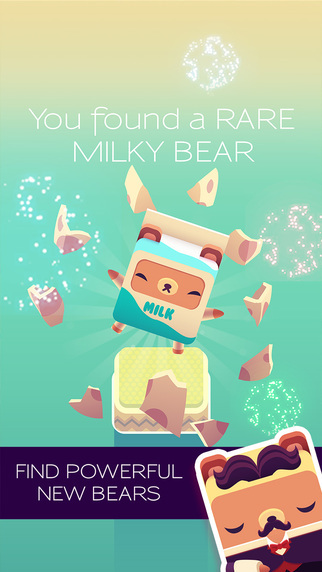 I don’t really play word games much, but I’m finding myself playing Alphabears quite a bit. I like that you can play the game at your own pace and that I don’t have to play against anyone. I also really like the unique gameplay and it doesn’t hurt either that the game has an art style that is just so pleasing and cute. Compatible Devices: (Universal App) Requires iOS 7.1 or later. Compatible with iPhone, iPad, and iPod touch. This app is optimized for iPhone 5, iPhone 6, and iPhone 6 Plus.